The Drinking Market was started by a Singaporean Hainanese with a palate for good food and believes that good food doesn’t have to be expensive, classy or bias to a country/ cuisine. Joel Low – Director, The Drinking Market Pte. Ltd.
Joel’s passion for food and wines blossomed when he started off as a cook with The Emerald Hill Group at a tender age of 15. That urged him to pursue his Diploma in Hospitality & Tourism Management, which he graduated from Temasek Polytechnic in 2008. 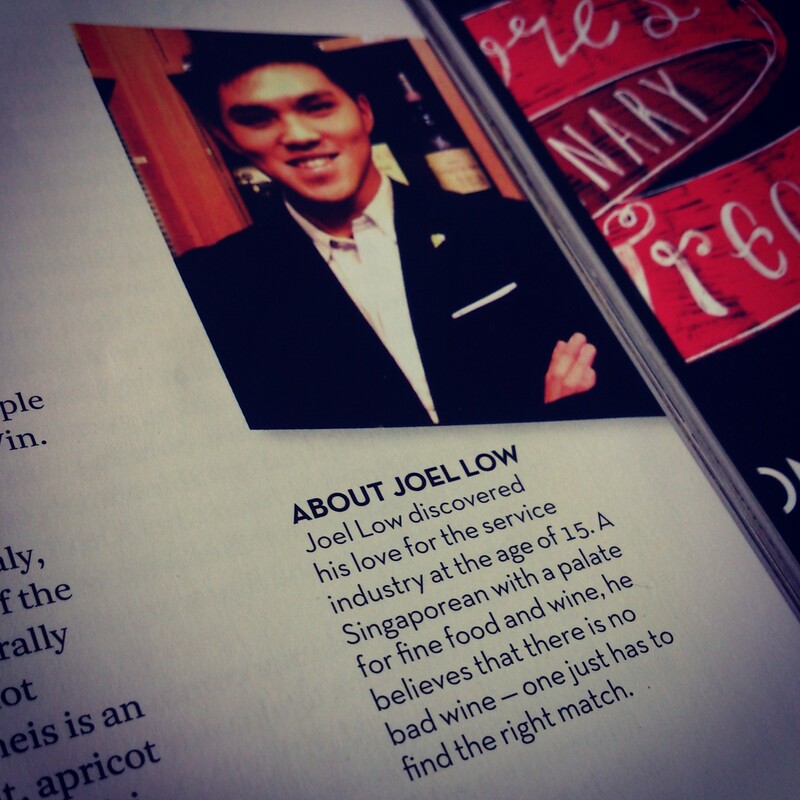 Joel was involved in the planning for various events such as the Singapore Chef Association’s 25th Anniversary Dinner and Dance when he was serving as a Committee Member in the Singapore Junior Chef Club in 2010. After serving his National Service, Joel joined the Les Amis Group as the pioneer in their Management Trainee Programme – specializing in wines. His passion for wines later saw him a position as a Sommelier – then the youngest sommelier with the group at age 23. In 2012, he graduated from Murdoch University with a Bachelor of Commerce in Hospitality and Tourism Management. With his insatiable thirst for knowledge, Joel joined Boathouse Restaurant Group as the Head of Operations, gaining a broad spectrum of experience that ranges from starting up restaurants and a catering department, training and purchasing, to general management of the restaurant chain. Since then, Joel and his partners incorporated The Drinking Market Pte. Ltd, a Food & Beverage Consulting and Investment Company which consults for both local and overseas Food & Beverage projects while investing in existing restaurant businesses. He also blogs on The Drinking Market (WordPress) and contributes to local Food, Beverage & Lifestyle related magazine on a freelance basis. Hello there, thanks for visiting and liking. You got a nice job here. Hi Joel! It’s your cousin, Lydia. I’ve been out of the country for quite a while and didn’t get the chance to join you and the rest of the cousins when you met up earlier this year, but my parents and sis (Lisa!) have told me all about what you do and your achievements! Kudos! I think it’s terrific what you’re doing and hopefully we’ll all get to meet again sometime, with lots of good vino, before you jet off to France! Hey Lydia, nice hearing from you! Thank you, your family is just too kind:) Yeah, hopefully we’ll be able to meet when you’ve back! Thanks for the follow! YAY Singapore! 😀 I’m loving what you write about. Nice to chance upon another Singaporean blogger on WordPress. Welcome to the blogosphere and am looking forward to sharing your experiences in food, wines & travel! Cheers! Nice meeting you here!